The Honor A Veteran Committee, under the aegis of the Greene County Veterans Service Agency, is still accepting posthumous nominations for the selection of one Greene County veteran to be so honored, in our annual Greene County Honor a Vet Memorial Ceremony. Nominations must be received by May 3, 2018. This ceremony will include a presentation of a United States Flag, flown over the Nation’s Capitol Building, provided by Congressman John Faso, a proclamation by the Greene County Legislature, a review of the veterans military and community history and achievements, as well other presentations by elected officials and community organizations. The program begins at 10:00am on the steps of the Greene County Courthouse, Main Street, Catskill on May 19, 2018, with presentations to the family throughout the program. Selection will be made by a full committee and the criteria are as follows; Greene County residency, military service history and decorations, as well as continued service to the Greene County Community. Submission packets must be received by May 3, 2018, and MUST be accompanied by the last report of separation (DD214), or Military record and discharge Certificate. 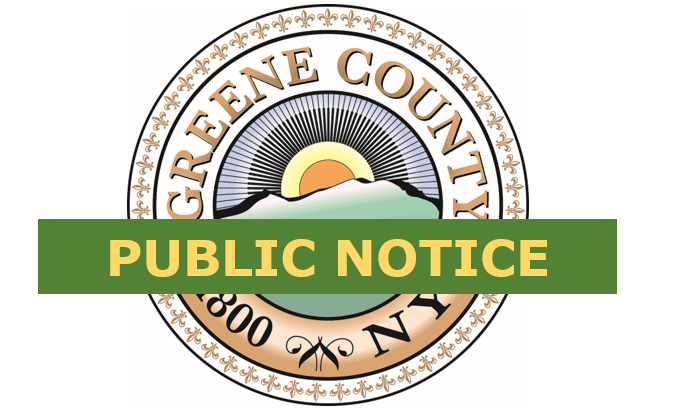 Submission packets, or assistance completing a packet may be obtained by contacting the Greene County Veterans Service Agency at 518-943-3703, or by e-mail at VETERANS@DISCOVERGREENE.COM. Packets may be downloaded and filled in online, and printed from the website: GREENEGOVERNMENT.COM, by using the “HONOR A VET” button at the bottom of the Veterans Service Department homepage. Paper copies are also available at the office located at 159 Jefferson Heights, Suite D303, Catskill NY 12414, 3rd floor. Nominations can be printed, and can be submitted directly to Greene County Veterans Services, or to any Honor A Veteran member. (If submitting to a member please be sure to allow enough time to get the packet to the office before the deadline). You may contact Honor A Veteran member George Greiner, at 518-755-4785 by phone, for further assistance with completing and submitting the packets. The committee’s first meeting will be on April 20th, noon, at the Conference Room at 159 Jefferson Heights, available members are requested to attend.